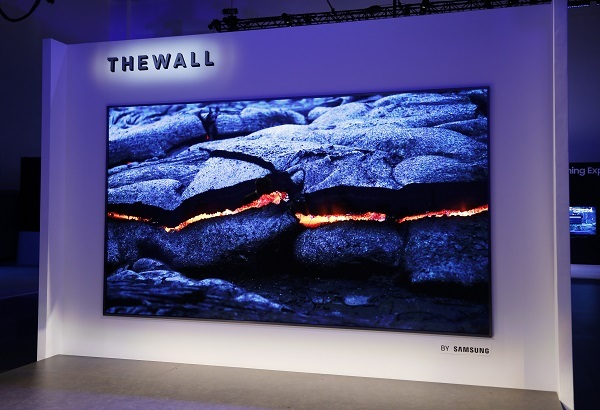 Home > News > QLED TV and OLED TV Continue to Compete in CES, Featuring 8K Resolution and Intelligent Video Pro..
Competition between QLED TV and AMOLED TV has continued in CES this year, and resolutions of the latest TVs include both 4K and 8K specifications. Major TV brands now focus on video processing chips in addition to constant improvements of HDR (High Dynamic Range) imaging technology, says WitsView, a division of TrendForce. Together with AI technology, TVs are now featuring “smart” video processing capability and superior image quality. According to Boyce Fan, research director of WitsView, 8K televisions have been developed over the past years, but products are not available in market yet. As Tokyo Olympics 2020 approaches, video format standards and the ecosystems of high-resolution TV industry have being gradually established. Major vendors like Sharp, Samsung and Sony have put forward plans for 8K TVs, accelerating the supply chain development for 8K TV panels. However, production of 8K TV panel has high technical barriers, and panel makers mainly make 8K TV panels for TV sets with screens larger than 65 inches. Therefore, the positioning of 8K TV sets will be in the ultra-high-end market, making it even harder for market expansion in the early stages. Samsung plans to launch 8K QLED TV later this year, while its rival LG Electronics continues to offer UHD AMOLED TV. However, LG Display has developed 8K AMOLED TV panels to prepare for further development of high-end TV market. This indicates the stiff competition between QLED TV makers and AMOLED TV makers will continue. Sony joined the OLED TV camp in 2017 and rolled out its AMOLED TV, boosting the sales and popularity of OLED TV. WitsView estimates that the market penetration rate of AMOLED TV in 2017 was around 0.7%, and will increase to over 1% in 2018. In contrast, QLED TVs lacked impressive advancements compared to their AMOLED counterparts, leading to lower-than-expected sales. Market penetration rate of QLED TVs remains only 1~1.5% in 2017 and 2018. WitsView notes that, the key for QLED TV camp is to overcome the technical obstacle of integrating Quantum Dots (QD) into the Panel Cell process rather than in the backlight modules. But it is still unclear at what time this optimized QD device structure could be presented. In addition, sales of QLED TV will not see significant improvement in the short-term. Thus, Samsung has allocated part of its resources to develop Micro LED TV technology and successfully debuted a giant 146-inch Micro LED display in CES 2018. WitsView believes that before major breakthroughs are made in QD technology, Samsung will continue its R&D in Micro LED TV. 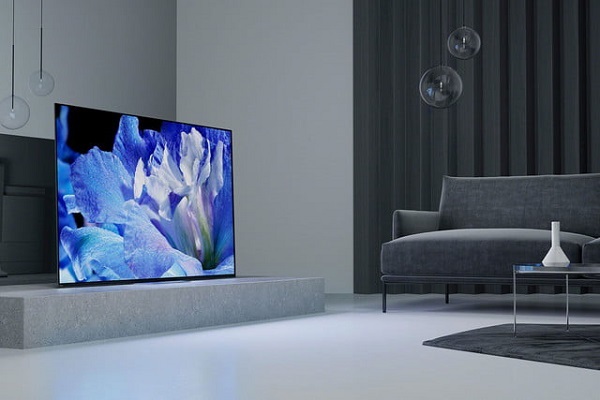 WitsView observes that HDR technology is still the main focus of TV manufacturers. HDR10+ is an upgraded standard for HDR10 introduced in 2018 to compete with Dolby Vision, another primary standard for HDR content, aiming to increase the adoption by TV manufacturers, content providers and platform providers. Advocated by NVIDIA, PC manufacturers have also been considering to adopt HDR standards in the past year. At the end of 2017, VESA released the open standard DisplayHDR 1.0 to address laptop displays and PC desktop monitors. Thus, major PC manufacturers are expected to demonstrate devices compatible with this standard in CES this year. WitsView predicts that more and more laptop displays and PC desktop monitors that use liquid crystal display (LCD) panels will support HDR standards, accelerating the adoption of HDR in the display field.